Examples of BUFFIE's BEST railroad photos. 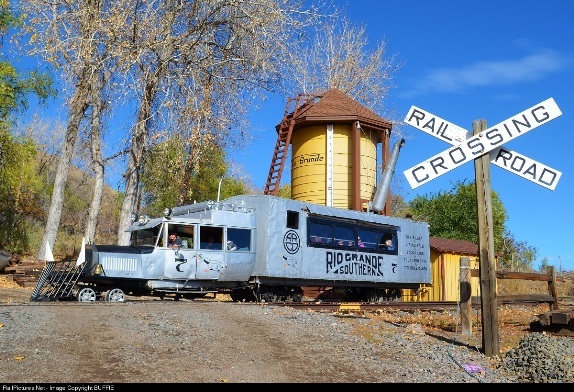 One of the seven original "Galloping Geese", Rio Grande Southern No. 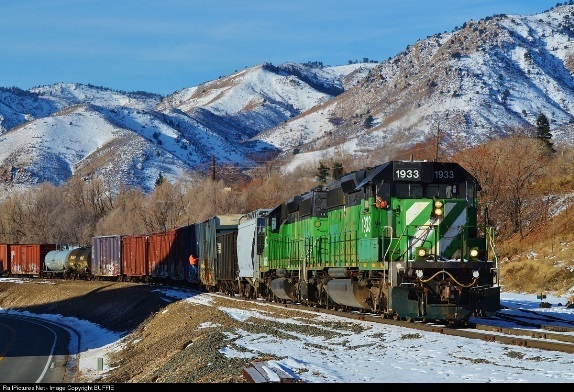 7 ran passenger and freight service in southwest Colorado. No. 7 was built in 1936 and was the last and largest of the Geese, using a 1926 Pierce Arrow limousine body and a 1936 Ford V-8 power plant. 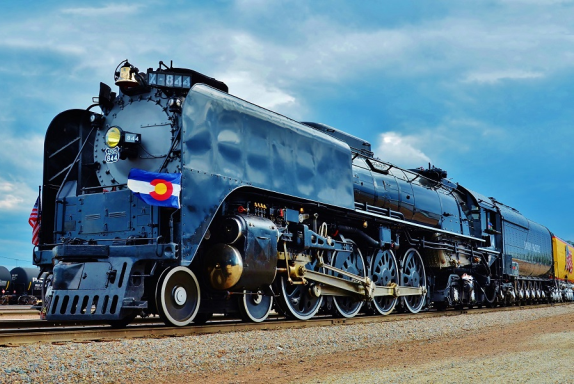 The engine was moved to the Colorado Railroad Museum in 1983 where it was restored and now runs passengers around the grounds on weekends. The museum has two other original Geese, No. 2 and No. 6 and like their bigger brother No. 7, both are operable and can be found running the rails around the museum's 15 acres. Here we see two of the BNSF's SD40-2 engines (1933 1675) running along the foothills of Boulder, Colorado, after assembling a train in the small yard adjacent to the Coors Brewing Company. A view of what it must have been like when the BN ruled the Front Range of Colorado. 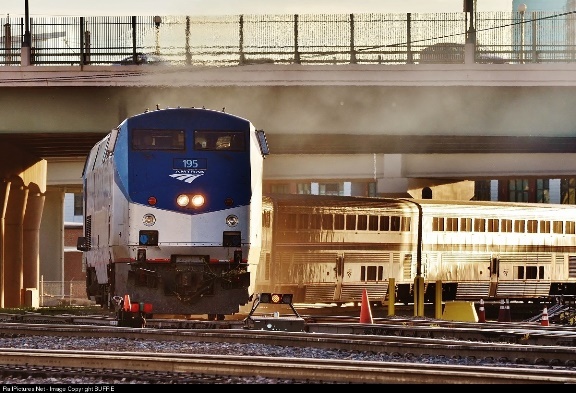 Every now and then the California Zephyr Amtrak train brings private cars (which can connect to the Amtrak train for a fee) into Denver's Union Station. Here we see the former Chicago, Burlington, and Quincy Railroad (CB&Q) #377, named the "Silver Solarium". It must have looked like something out of a Buck Rogers movie when it was introduced in 1948. The car could accommodate 50 passengers and operated with the CB&Q until 1970, when it served Amtrak until retirement in 1985. It was then sold to a private party who restored it for private charter service. While not necessarily comparable to today's special vista dome Amtrak cars with the seamless curved glass windows, this 1948 dome feature was billed as "The Most Thrilling Innovation in Travel Enjoyment". 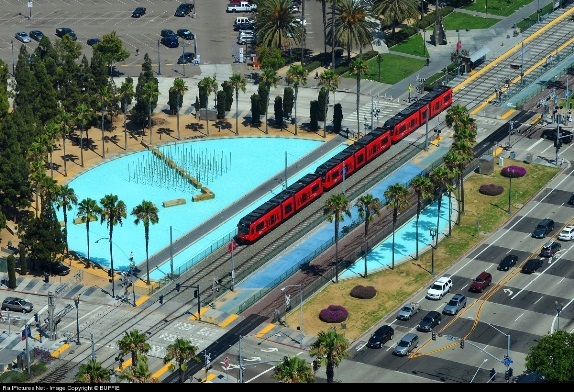 The colorful San Diego MTS (Metro Transit System) crosses a wading pool in front of the San Diego Convention Center. 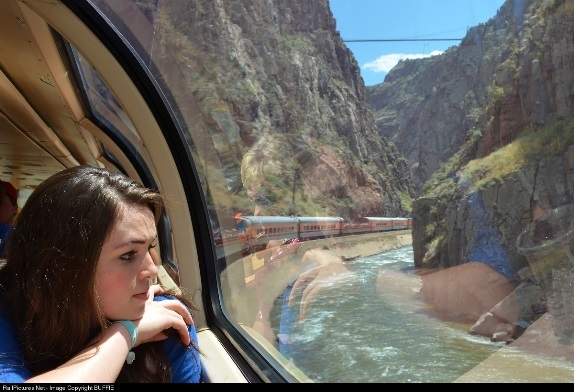 The observation cars of the Royal Gorge Railroad provide splendid views of the Arkansas River as well as the famous Royal Gorge Bridge, which used to be the highest bridge in the world, towering 955 above the river. It held the record from 1929 until 2001, when it was surpassed by the Liuguanghe Bridge in China. 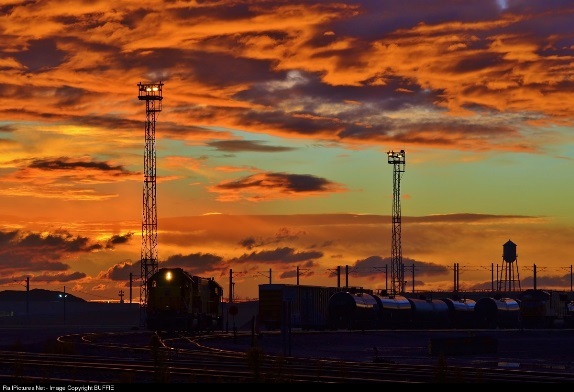 A stunning Colorado sunrise catches UP 1817 getting an early start in the Denver North Yard. The magic 4 to 5 minutes when the sun peaks over the horizon and shines that colorful glow on the underside of the clouds is something to see. Somewhere, over a double rainbow, is a special place where dreams of a fleet of bright red and silver AT&SF Warbonnets really do come true. 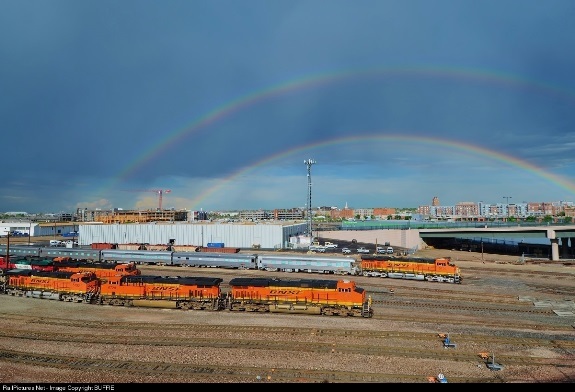 Here we see a double rainbow framing BNSF power waiting at the Denver engine servicing facility. 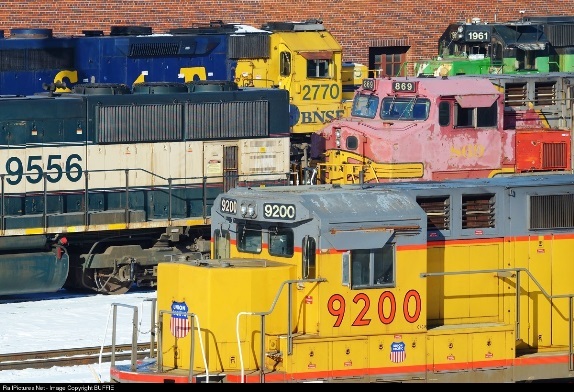 Colors in the BNSF engine servicing facility. 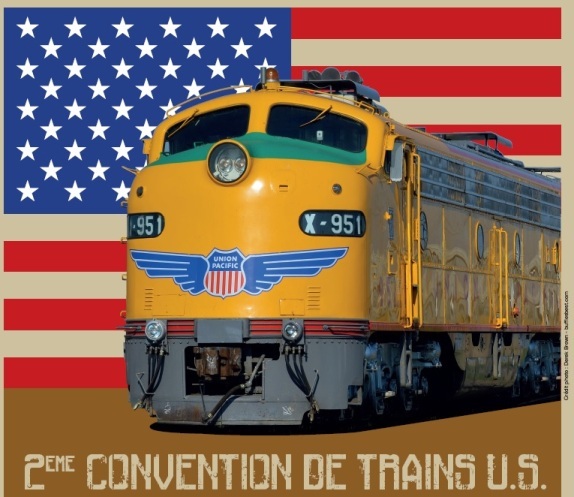 The Union Pacific's 844 steam locomotive underwent a top-to-bottom refurbishment and its first call to action was to lead the Cheyenne Frontier Days train to and from Denver, Colorado. 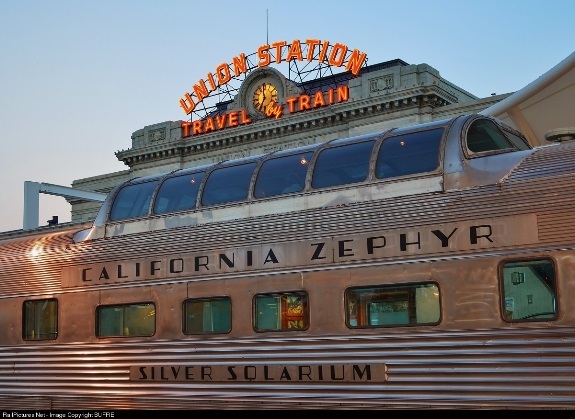 The California Zephyr pulls into Denver's Union Station as a golden sunset gives the passenger cars a special glow. 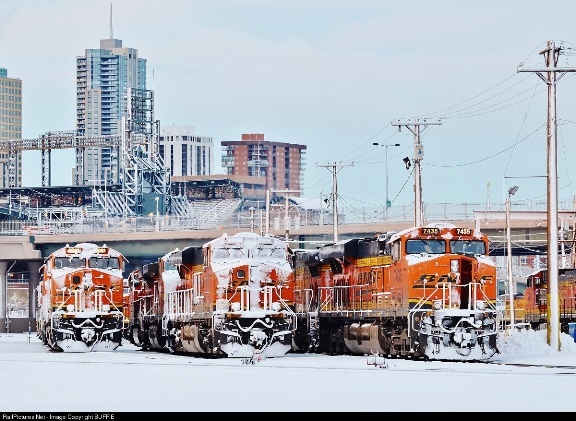 A severe snow storm frosts the BNSF pumpkins waiting at the Denver engine servicing facility. Snowstorms in Colorado can be severe at times. 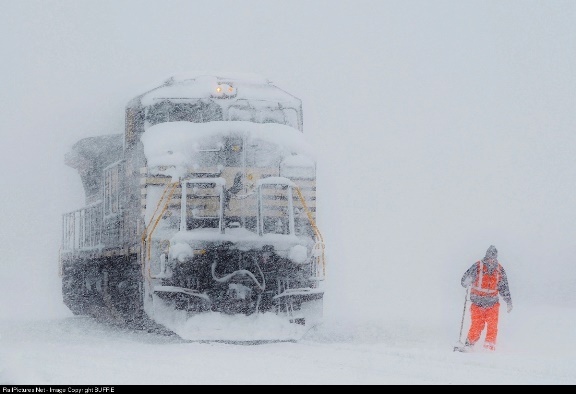 Just ask the crewman of this Norfolk Southern engine as he makes his way to clear a switch in the Denver Yard.